Skye Gravestones | Mary Askew. 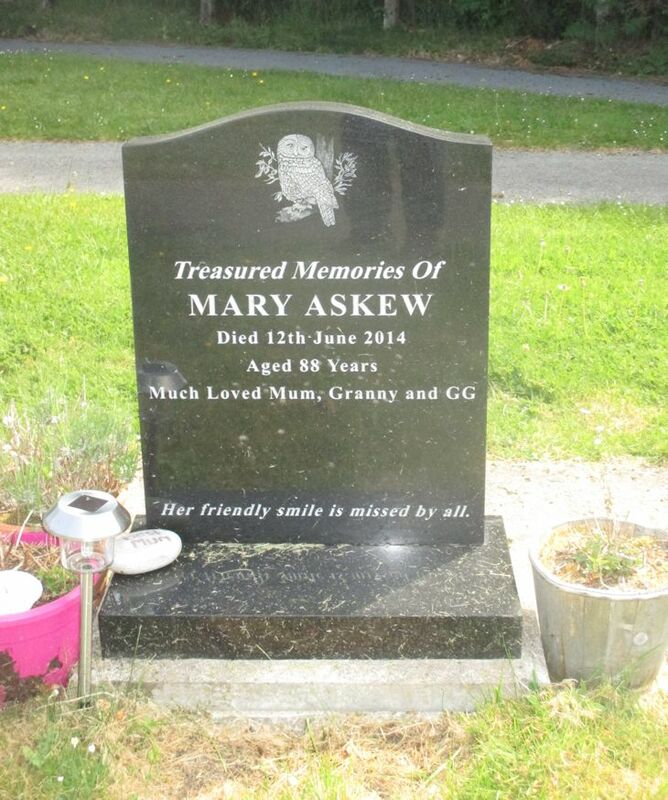 Treasured memories of/MARY ASKEW/died 12th June 2014/aged 88 years/much loved Mum, Granny and GG. Her friendly smile is missed by all.